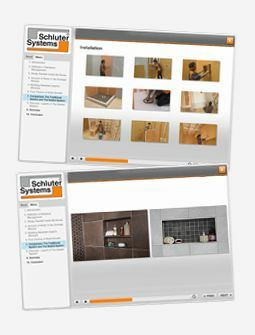 In line with our dedication to education, Schluter®-Systems is pleased to offer you a selection of e-Learning courses. E-Learning is an effective educational platform that allows you to learn at your own pace, from anywhere, at any time. Be sure to check back with us regularly for any updates to our course selection! 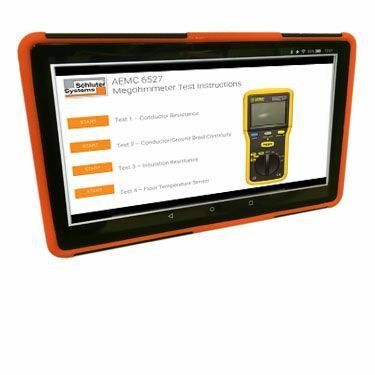 This interactive e-Learning tool walks you through the cable testing process using a virtual megohmmeter. Practice and learn how to perform each cable test using a simple step-by-step approach. 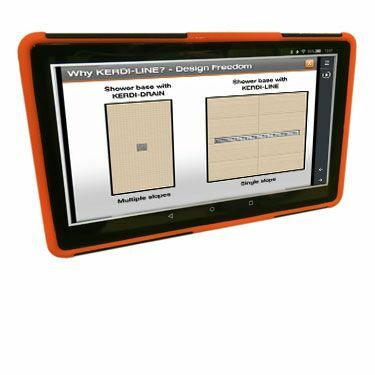 The goal of this e-Learning course is to introduce you to KERDI-LINE, an elegant low-profile linear drain. The course explores the features and benefits that make this drain unique, and demonstrates its various components. Delve into how to install the drain, and get the details on how to order KERDI-LINE for your next project. Moisture management is essential to building tiled showers that are both beautiful and durable. In this e-Learning course, you will examine the differences between a sealed system and a traditional system, and see how a shower assembly can contain water in both liquid and vapor forms to ensure that it is not adversely affected by moisture. Incorporating profiles in your shower applications allows you to finish exposed tile edges so they are not prone to cracking and chipping. 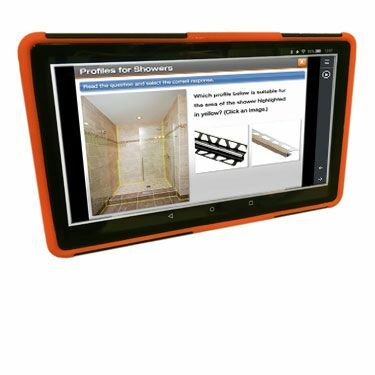 In this e-Learning course, you will be introduced to Schluter profiles that are ideal for the shower, and provided with an overview of required installation steps for these types of profiles. Plus, discover the benefits of inside and outside profiles and how they can fit into your next shower installation. In this e-Learning course you will be introduced to the complete line of shower products used to create sealed, waterproof showers installations. 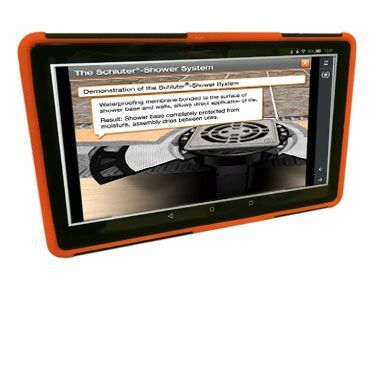 You will take an in-depth look at how the Schluter®-Shower System provides a bonding surface at the top of the shower assembly to ensure that the shower base and walls remain completely protected from moisture penetration.